Prince Albert, Saskatchewan – One male is in in custody and charged with numerous firearm and drug related charges after an investigation by Prince Albert Integrated Street Enforcement Team (ISET) and Prince Albert RCMP. On February 4, 2019 at approximately 1:30 p.m., ISET and RCMP Patrol members executed a search warrant on a residence on Muskoday First Nation. Because of the investigation, police arrested a lone male in the residence and seized just over 100 Grams of Cocaine and a loaded SKS rifle. A 35-year-old male from Muskoday is facing numerous firearm related charges and one charge of possession of cocaine for the purpose of trafficking (Info # 991080410). The accused will make his first court appearance today. 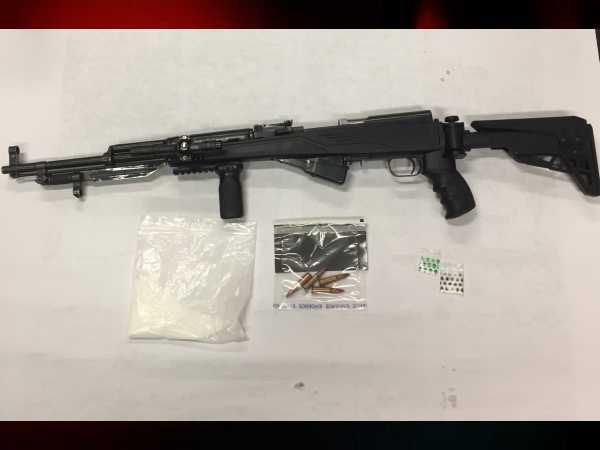 Because of the investigation, police arrested a lone male in the residence and seized just over 100 Grams of Cocaine and a loaded SKS rifle. ISET is made up of members of the Prince Albert Police Service and Royal Canadian Mounted Police.